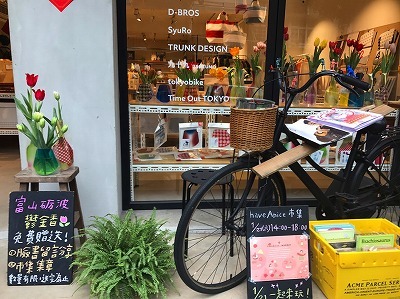 Tonami city and Toyamaken kaki kyukon nogyo kumiai decorate 1,000 cut flowers of tulips from Tonami in “Huashan1914 Creative Park”which are popular among young people,displayed them.They gave cut flowers of tulips. 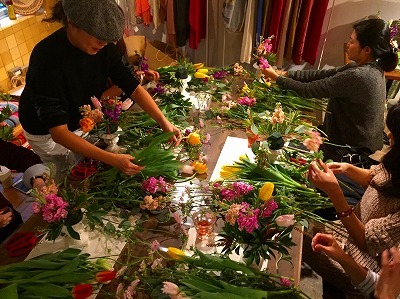 They introduced tulips from Tonami to young people on the weekend in the event where young people visit. 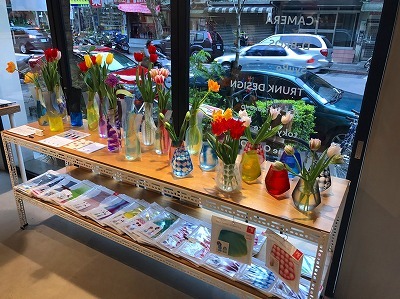 The above vases are not glasses but pouches.This pouch become vase when we fill it with water. 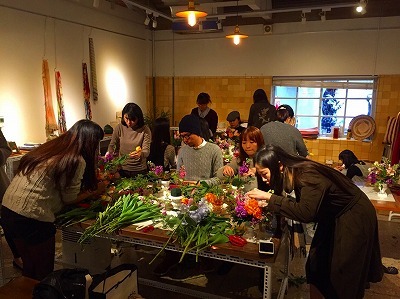 They held flower arrangement lessons.50 people participated the lessons.